Seven chapters provide opportunities for OSCPA members to get involved and network regionally. 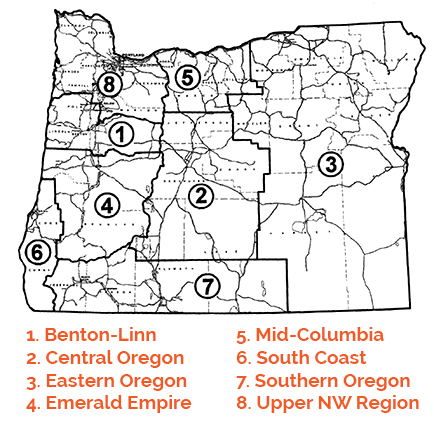 Additionally, the upper northwest region (8), which includes the Portland metropolitan area, is home to the OSCPA administrative offices. Chapters are represented by council leaders and may choose to hold networking opportunities, host social gatherings, community service projects, or share expertise at local venues.